This is an oval Cliff Brice Gas porcelain sign. This particular Cliff Brice Gas sign is predominantly red with yellow, white, and green, text. 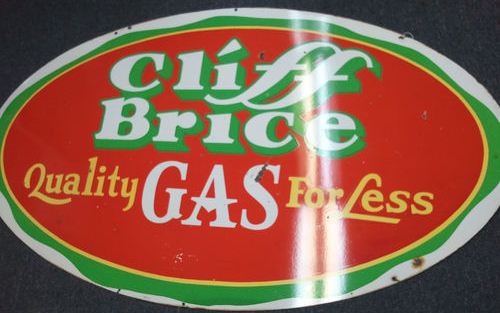 It reads, “Cliff Brice Gas, Quality Gas for Less” and features a wavy green border.